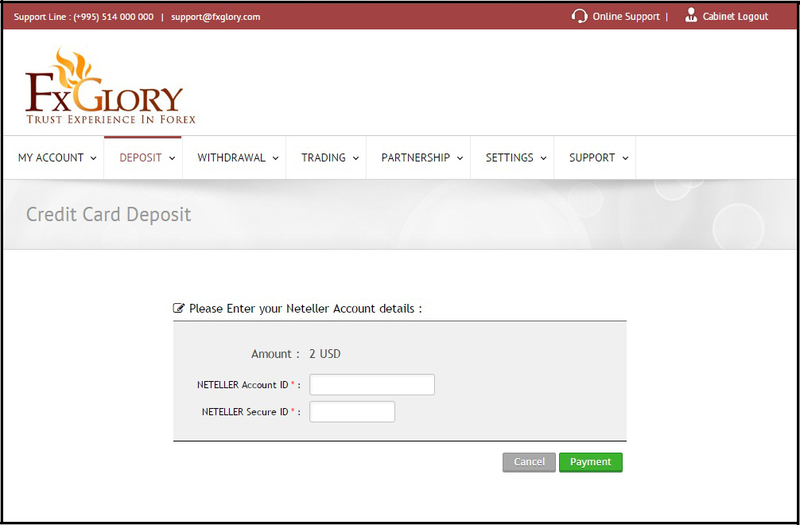 How to deposit via Neteller? Neteller is a fast, secure and easy money transfer method. To deposit via Neteller, you just need to log in to your Client Cabinet. In Deposit part from drop down list choose > Instant Deposit > "Neteller" option. Here you need to choose the account that you desire to make a deposit to. 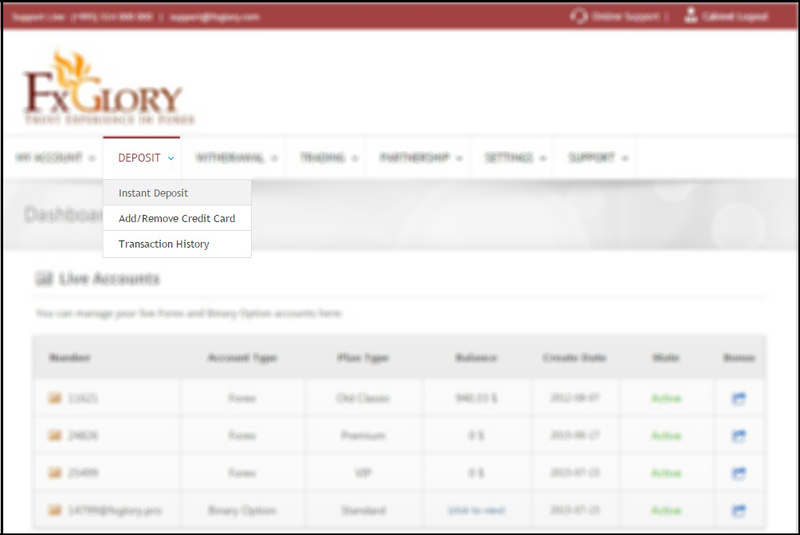 After choosing the account and entering the amount that you wish to deposit, you must click on the "Make a Deposit" button and you will be directed to the confirmation page. Now just click on "Confirm and Continue" and enter your Neteller account information to finish the payment. If you face any difficulties while depositing by Neteller or any other method, please send an email to billing@fxglory.com in order to be guided to a proper solution. 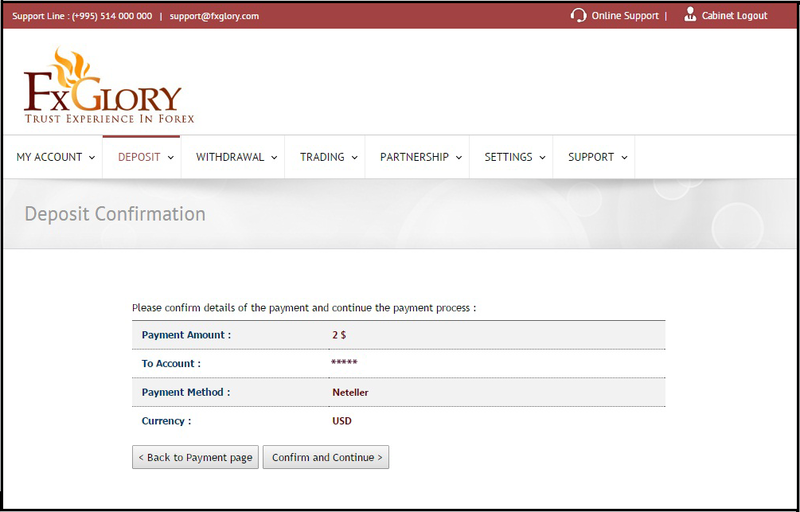 Please do not forget to send an email from your registered Fxglory email address including your account number.